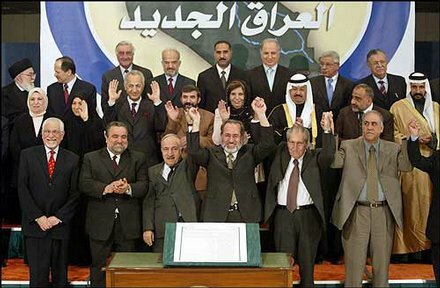 In the wake of the U.S.-led Coalition Forces invasion of Iraq in March, 2003 and dissolution of the Ba’ath Party, a transitional administration was created, the Coalition Provisional Authority (CPA). The CPA held executive, legislative and legal authority for a little over a year, beginning April 21, 2003, while a more permanent Iraqi government was being established. The goal was to undo the damage of Saddam Hussein’s regime and get the country back on its feet as an active member of the world community. As the top civilian administrator of CPA, Paul “Jerry” Bremer ruled by decree, notably banning the Ba’ath party in all forms and dismantling the Iraqi Army. In the following interview, conducted by Charles Stuart Kennedy in June 2008, Bremer discusses his role in the CPA, helping post-Saddam Iraq transition into a representative sovereignty. To read more about dismantling the Iraqi army, the pillaging of Iraqi culture, or the Middle East, please follow the links. The Iraqis we consulted — Kurds, Sunni Arabs, Shia, Christians, Turkomens — all said that Iraq needed a new constitution. While the British had written a pretty good constitution for the Iraqis in 1925, Saddam and the Ba’athists had basically torn it up. Saddam’s 1970 constitution, which was in effect when we got there, was completely useless. 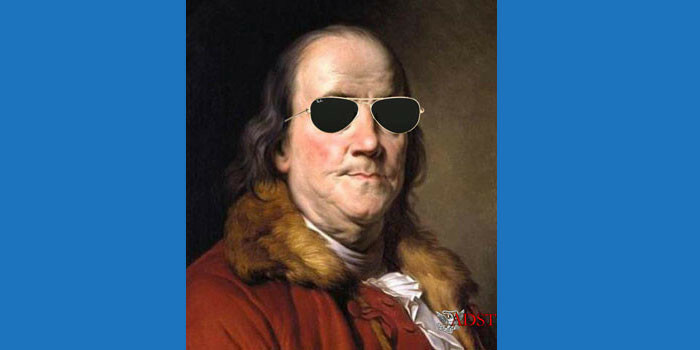 It established the Revolutionary Council as the sole authority in the government. There was no countervailing power, there was no independent judiciary, there was no parliament; there was just an executive, Saddam. So the Iraqis said we need a new constitution. The question of a new constitution had been part of the discussions the U.S. Government had conducted with Iraqis long before I arrived. The first week I was in Iraq, I met with the small group of seven men. I told them that the political process was going to take time. They were not happy because they had gotten the impression from [Bremer’s predecessor Lieutenant General Jay] Garner and his colleague, [Ambassador-at-Large for Free Iraqis] Zalmay Khalilzad, that we would immediately hand over authority to their group. At this point in early May 2003, the military was still planning to get out fast too. They had a plan to withdraw some 80 percent of our troops within three months. I told the group of seven that everybody we had consulted suggested the need for a new modern constitution. The Iraqis would write that constitution. This was going to take time. Finally, the Coalition wanted to work with a broad and representative group of Iraqis on the political process. I pointedly noted that there were no women at the table. Yet women certainly represented a majority of Iraqis. There were no representatives of the small Christian or Turkomen minorities. 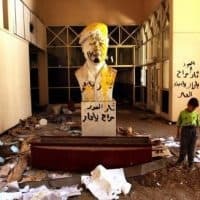 There were few Iraqis who had actually stayed in Iraq under Saddam. Sunni Arabs were underrepresented. I challenged the group to broaden itself to become more representative and suggested we have a follow up meeting in two weeks. I thought there were two things going on. One was that the exile groups had, as you suggest, been maneuvering with and against each other in exile for some years, not surprisingly. The two Kurd[ish factions] s had actually fought a war against each other eight or nine years before. So there were some tensions. Secondly, I had lived in three countries that had been occupied by the Germans during the Second World War. I am an amateur historian and have read a lot of history about France, the Netherlands and Norway under German occupation. I knew from that and from talking to people in those countries that there is always tension between the people who are in exile — in those cases most of the exiles spent the war in England — and the people who stayed under occupation. So, at least historically, when the exiles come back and try to take charge, the people who stayed behind replied, “No, we suffered under the Germans. You were living in posh exile in London while we were harassed and deprived here in…” — fill in the blank, France, the Netherlands, Norway or other places. It’s not an exact analogy. The Iraqis had not been under foreign occupation because Saddam was an Iraqi. But the problem of integrating the returning exiles to Iraq was similar. These Iraqi exiles who had been living in London or Tehran or Damascus returned to Iraq expecting to be in charge. So there was also a broader political tension which we understood. It meant that we needed to try to find a broader-based group of people for the Interim Government — especially Iraqis who had stayed under Saddam. This was part of the challenge which I made to the group of seven in my first meeting. There was a legitimate need for the skills that exiles brought back to Iraq. Saddam had been in power for 35 years, three times as long as Hitler ruled in Germany. There was not much left of a middle class with technical skills to call on. I remember calling on the acting minister of health the first week I was there. He pointed out that there was no internet allowed and you could not, even as a government official, attend conferences outside the country without Saddam Hussein’s personal approval. So, if you were a doctor and you wanted to attend a symposium on tuberculosis or whatever your specialty was, in Lucerne, you had to send a memo to your department head. Your department head had to send a memo to somebody higher up in the ministry. Then the minister had to send a memo to the revolutionary council and the revolutionary council had to ask Saddam if the doctor could make the trip to Lucerne. Usually by the time the answer came down, the conference had already taken place, unless they intended for the applicant to go. So the medical profession was, at a minimum, 20 years out of date. Think of what changes there had been in medicine between 1991 and 2003. There was a real dearth of skill sets. So you could see that some exiles at least had been out in the broader world and brought needed skills. They were obviously going to have to be used in some fashion. Finding people who had lived under Saddam who had political support was almost an oxymoron because in Saddam’s time, if you had political support you were either a Ba’athist or you were dead. We challenged the small group of exiles to broaden themselves. We said, “Look, you are Iraqis. You know this place. Go out.” I was particularly insistent on them finding some women. There was a lot of talk about who was in the majority — Shia, Sunnis, Kurds. Since there had been no reliable census since 1957, everybody claimed they had a large portion of the population. The Shia said “we’re 70 percent of the country.” The Kurds said they were 45 percent. The Sunnis said no, we are a majority. Nobody knew. But one thing I knew for sure: women were a majority, because so many men had been killed in the wars and by Saddam. Since this was the case, I told them I was surprised and disappointed that there was no woman among them. I told them we would meet again in two weeks and urged them to come back with a broader group representing broader sectors of Iraqi society, especially women. We met again in two weeks and they came up completely empty handed. No new faces at all. So we deployed our political team, which was a joint American-British team of Arabic-speaking experts, plus others. They spent the next two months traveling around the country. We also asked all local Coalition military commanders to identify people in their area of responsibility who might be considered as effective political representatives. I was lucky; I was not a regional expert. 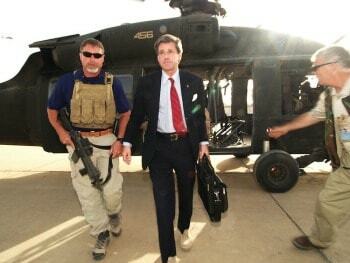 But I had some exceptionally able Arabic- speaking American and British diplomats. One British deputy, John Sawers, was at that time serving as British ambassador to Cairo. He went on to become the number one guy in the British foreign office. He is now British Ambassador to the U.N., an exceptionally able guy. I had recruited Hume Horan, probably the U.S. government’s leading Arabist, who had served in Iraq twice before as a diplomat. Ryan Crocker, who had also served in Iraq in the ‘70s and subsequently went back as ambassador to Iraq after I left, was another member of our team. We had a group of very good people. On the economic side we also had some very able people: Peter McPherson, who had been director of the USAID organization in the early ‘80s and David Oliver, a retired three star admiral who helped with the Iraqi budget. We had people who could help us put meat on the bones of the strategic direction for the economy. But the strategic direction had been laid out by the President before I went to Iraq: get the economy going and help the Iraqis put in place a process that leads to representative government. We saw, through this immediate step of lifting the tariffs, a real explosion of economic activity on the streets of towns all over the country — Basra and Diwaniyah and Baqubah and Mosul. It was really quite extraordinary how quickly the street-level economy picked up. Iraqis were taking money from somewhere and getting the economy moving. Then we started some big public works programs, a big program of micro-financing for women in the south, because in the heavily Shia south, women weren’t supposed to leave their homes. So we set up a 10 million dollar micro loan program to give women funds to go into business. For example, some bought sewing machines which allowed them to have a business without leaving home. Then they would hire three nieces and the next thing you know, you’ve had six people working at somebody’s home. We pushed hard on these quick-dispersing programs. Meanwhile we started to take steps on the big macroeconomic changes, which in the long run were more important. Here too we had considerable successes. Entrepreneurs were springing up in street-level businesses. 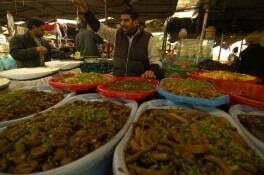 The Iraqis have always been good traders. 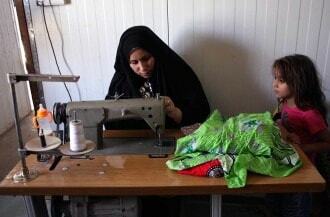 They have a trading tradition, particularly in the south, in cities like Basra, a port. But there was no what the Germans call mittelstand, medium-sized private businesses. There were 192 state-owned enterprises, which were value-destroying entities. Their operations did not produce enough income to cover their cost of capital. Even today they continue to destroy, because we were unable to do much with them in the short time available. Then there were the street-level stores. But there was almost nothing in between. The few “independent” middle-sized firms had all been co-opted one way or another into the Ba’athist government’s programs. It was the only way they could survive. In the summer of 2003, several large American companies were already operating under contracts which had been let before I arrived. The biggest one was Bechtel. They were doing work on the port in the south and building bridges and working on the airport in Baghdad. I hoped that perhaps we could use these contracts to support existing Iraqi companies. So I suggested to the American firms that they set a goal of placing 70 percent of their subcontracts with Iraqi firms. They tried, but told me that they just couldn’t find competent Iraqi firms for most of the contracted work. Eventually they were able to get work placed out to Iraqi firms, but it took most of the year the CPA was there. The economy faces a structural problem familiar to the region, which is its almost total dependence on one commodity: oil. And that commodity is owned by the government, which is never very healthy. …There were two problems [with water and irrigation]. The best agricultural land is largely south of Baghdad in “Mesopotamia,” the land literally between the two rivers. There were two problems and both of them caused by Saddam. 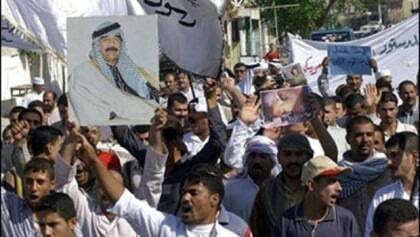 After the war to expel Iraq from Kuwait in 1991, the Shia rose up against Saddam. We discussed earlier how he had sent his army to slaughter innocent Shia citizens all over the region. Another punishment he instituted was to forbid the Shia from maintaining their canals. So the canals which are essential to the region’s agriculture silted up and became saline in large areas of the south. Saddam also destroyed many of the natural dams on the Euphrates to flood the marshlands down in the south. This is the area where the Marsh Arabs have lived for millennia. He destroyed their way of life. It was basically a form of environmental terrorism. The second problem related to the agricultural sector went back to the mid-‘90s. Saddam established a “food basket” which was distributed to every Iraqi family each month. The content of the monthly food basket was determined by the Ministry of Trade. Every month you would go with your coupon to some distribution place – there were 44,000 distribution centers – and pick up your basket of food. There were a lot of problems with this. One of them was the cost. The food basket was costing the Iraqi government about three billion dollars a year — on a government budget of $12 billion. So it was a quarter of the Iraqi budget. Secondly, the system disincentivized homegrown agriculture. Most of the food was imported, which resulted from or created lots of corruption. Whoever was in charge of the food basket would be given X amount of money. He would use X minus his percent to buy supplies in Jordan or somewhere else and import it. So the program was very expensive and it disincentivized local agriculture. One of the very first quick spending things we did was, in the south, to deal with the agriculture problems there. The Minister of Irrigation told me about the silted up canals in the south and said if we could gave him 20 million dollars he could create thousands of jobs in the region by having them clean up the canals. We did that and he hired over 100,000 people – men and boys – to do the clearing out; the women to keep track of who got paid. 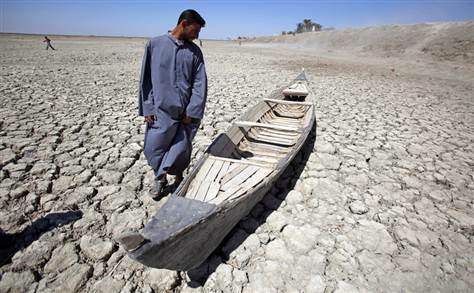 So water is a very important part of the potential richness of Iraq. It is not yet fully realized. …All kinds of people were coming out of the woodwork saying they were effective leaders. The question is: which ones were [effective]? We approached it in various ways. We knew we had to mobilize women somehow. Early on, the British organized a conference of women’s groups. Now, who they were is not all that clear. There was a Women’s Communist Group, because Saddam had been essentially looking the other way with the Communists. I suppose he figured their politics were closer to his and they were also secularists. There were a number of other women’s groups at the conference. They had all been in Iraq, these were not exiles. Our objective was to see if we could identify from these meetings some potential leaders. At the meeting, I commented about our plans for an interim government up and running and mentioned the fact that, as women were a majority of Iraq’s population, we needed good representatives. Several women responded politely and committed themselves to cooperate. The others just as loudly denied the accusation and said that the accusers themselves were secretly Ba’athists. The first group was denounced loudly and with considerable passion by many around the table. The British determined later that the initial group of women had smuggled themselves into the meeting under the guise of being democrats. In any case it was not easy to sort out who was going to represent the women who had been politically active before liberation and yet could be effective in the new government. Now, who knew? Maybe the ones making the accusation were the Ba’athists. It was hard to sort out. …In the Kurdish region, women had been involved in government since 1991. So there were extremely able women who had served in the Kurdish government. The first minister of public works was a Kurdish woman who stayed on in the sovereign Iraqi government. Because they had the 12 years of experience it was generally the case that the Kurds were well educated and had some government experience. The minister of irrigation I mentioned earlier was a Kurd. I interviewed scores of Shia women in the south. They tended to be in specialized areas. They were well educated, things like dentistry, OB GYNs, because under their tradition men could not attend medically to women. So they tended to be well educated but in rather specific areas, some lawyers. But finding qualified women was also a challenge. They [The Kurds, Sunnis and Shia] had a hard time working together. Working with the UN Special Representative, Sergio de Mello, we were able to get the Iraqi Governing Council appointed within six weeks. 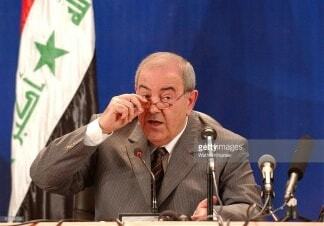 The first task I suggested to them was to appoint Iraqi Ministers to all the government ministries. This they did and those ministers took office on September 1, 2003. From then on until the CPA left, these men and women ran the Iraqi government, which became a bit of an annoyance for the Governing Council. I think the Governing Council had not focused on the fact that, by appointing the ministers and then not setting in place a system for holding the ministers responsible to the Governing Council, they had ceded considerable power to the ministers. We in the CPA suggested to the Governing Council that, to be effective, the GC should have its own staff to help their members stay informed about government business and to be able to propose new policies to the Ministers. They should also, we advised, arrange for hearings, as other legislatures do, where they could call ministers before them to account for the policies, budgets and plans…. In our view, the Governing Council was not taking advantage of our offer, when they took office, to help them. At the first meeting with the GC on July 13 2003, I gave them a list of issues we thought Iraq needed to deal with urgently. We asked for their advice and assistance on this whole range of issues. What to do about the education system? What to do about the currency which was no longer valid? What to do about power generation? We gave them a list of more than a dozen urgent issues on which we sought their advice. The GC was never able to play that kind of a role, not the least because they never hired support staff. Some of them, like the small group of exiles that our government had been talking to before the fall of Baghdad, had developed the impression they were going to run Iraq right away. They were frustrated with the fact that now they had to work within the broader group, the GC. As the insurgency developed, I am sure some of them became afraid of being accused of collaborating with the Coalition Provisional Authority. So there was that. Indeed, several members of the GC were assassinated. Some of it was just a lack of understanding about how this process could work. There was a very senior man representing the Marsh Arabs. He was a wonderful tribal leader from the southern province of Maysan. He is still very active. I had a message from him just this week. His experience as a leader tribal leader of the Marsh Arabs would not immediately lead him to understand the process of running a central government in Baghdad. …In the end the Governing Council proved to be a useful mechanism for the process of political transformation because, after some months of discussion, the Council agreed to take on the task of writing the constitution. They brought in legal experts to help to write what is the most liberal constitution in the region. This was the single most important political element of the whole political process. And once the constitution was drafted, the Council agreed to go out of existence when we passed sovereignty to a new Iraqi government. This was very significant. Most political bodies don’t voluntarily go out of existence. It took fully six months to bring them to the point where they realized they did not coexist with a sovereign Iraqi government. We agreed to pay their salaries and provide for their personal security details for another year after they disbanded themselves, so that probably eased the decision a bit…. The Governing Council had a number of Islamists, both Shia and Sunni, and a Kurdish Islamist. The ones who had been in exile, which included two of the Kurdish Shia, had been, respectively, in Damascus and in Tehran, and they had been there a long time. Their families had grown up there. So there was always a question of Iranian influence on some of these people. I didn’t over worry about that aspect of Iranian activity because most Iraqis are Arabs, they are not Persians. That’s a pretty important difference. They shared the Shia branch of Islam. …The CG did have religious figures as members. The CPA did deal with other religious figures outside the Governing Council. The leading Shia figure, Grand Ayatollah Ali Sistani, had a policy of not meeting with anybody who worked for the coalition. I didn’t have a problem with that. I set up a number of back channels to communicate with him. Recently I was looking back through the record. In the 14 months of the CPA, I had more than four dozen communications with him; some of them written letters, some of them oral messages. So we had a pretty intense dialog. The fact that he wouldn’t see anyone from the coalition did not create a major problem in communication. As my book lays out, on the whole, Sistani played a responsible role in the political process. He did complicate it for us in a number of ways. But on the whole his vision of a democratic Iraq was not dissimilar from ours. … It was always a debate that we had: are we doing all the work because we are doing all the work? There may have been some of that on the part of the Governing Council. We certainly encouraged them to grab responsibility for all the major issues. We als o knew that the CPA, with 3,000 people, could do the GC’s staff work if they asked us to do it. You would almost have to ask each of them what their reasoning was. Some of them probably would say “I don’t want to work that hard”, some of them may have said to themselves, “let the Americans do it and take the blame.” Not an unreasonable position. An interesting footnote: we passed about 100 laws. Before I left, the Prime Minister, Ayad Allawi (seen left), asked me about some law and whether his government had to continue it after his government became sovereign at the end of June 2003. I told him once they were sovereign they could do whatever they wanted with those 100 laws. If the sovereign government didn’t like something we had done, it could just repeal the laws. The CPA-era laws explicitly say they are only valid until they are overturned by a sovereign Iraqi government. 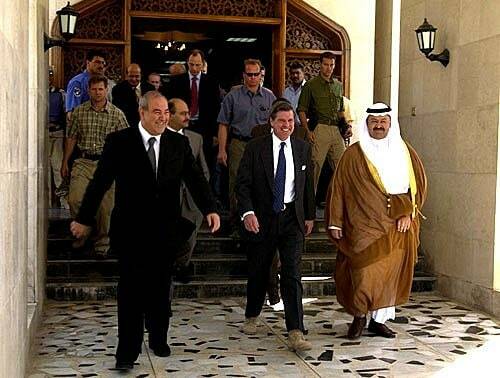 The Iraqi government was sovereign on June 28, 2004 when the occupation ended. The sovereign government set up a committee under the Deputy Prime Minister, a Kurd, Barham Salih, to review all CPA’s economic laws that we had passed. I saw Barham about a year and a half after he had chaired this interagency committee. He told me that after reviewing all the CPA economic laws, the committee decided they couldn’t improve on the laws. So they didn’t change them.